Mystical Eastern Enlightenment Lord Ganesha on the Throne Sculpture. Made of premium cold cast polyresin, hand painted, stands 8" tall. 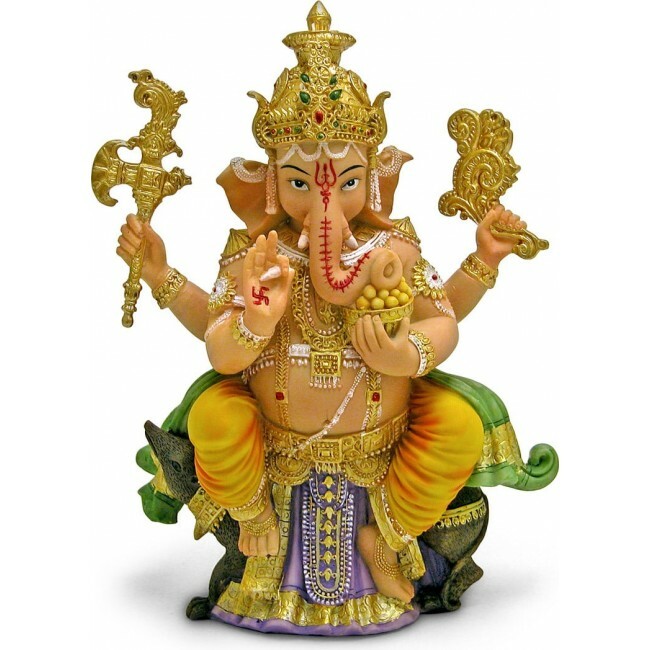 He is the remover of obstacles, the patron of the arts and sciences, and the deva of intellect and wisdom. This Hindu deity with the Mystical Eastern Enlightenment Lord Ganesha on the Throne Sculpture will make your home complete. Made of premium cold cast polyresin, hand painted, stands 8" tall.